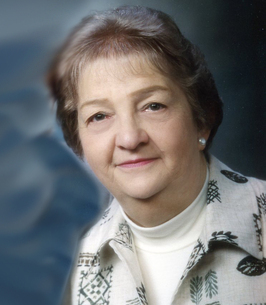 Shirley A. Pease Service Details - East Liverpool, Ohio | Dawson Funeral Home, Inc.
"Our hearts are aching, what a kind, generous and loving person. So blessed to have had her in our family. " Calcutta, Ohio – Shirley A. Pease, 86, of Susan Drive, Calcutta, passed away suddenly Tuesday, October 30, 2018 at her residence. Born at East Liverpool, Ohio on November 10, 1931, she was a daughter of the late Herbert H. Bickle and the late Katie Laughlin Bickle. A lifetime area resident, she was a homemaker. She was a member of the Church of Christ (Disciples) in East Liverpool. A 1949 graduate of East Liverpool High School, she belonged to its Alumni Association and served on the Leadership Society. After graduating high school, she attended the Ohio Valley Business College. She belonged to the N.B.G. Card Club since its inception in 1956. Above all else, Shirley really enjoyed watching her grandchildren participate in various sporting events. Survivors include her husband of 67 years, John P. “Jack” Pease, whom she married September 7, 1951. Also left to cherish her memory are her daughter, Diann Eskra and her husband, Greg, of Leetonia, Ohio, and a son, Mark Pease and his wife, Michele, of Columbiana, Ohio. There are three grandchildren, Michaela Good and her husband, Andrew of Columbiana, Austin Eskra and Haley Eskra of Leetonia; and two great grandchildren, Kendall and Ellie Good. 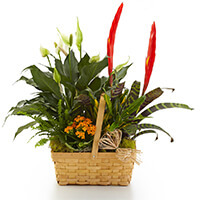 Shirley also leaves behind two brothers, Robert Bickle of Bradenton, Florida and William Bickle and his wife, Arlene of East Liverpool; and one sister-in-law, Frances Bickle of Arizona. In addition to her parents, she was preceded in death by one infant son, David John Pease; and two brothers, James Bickle and Harry Bickle. Friends may visit the family Friday afternoon and evening at the Dawson Funeral Home from 2 to 4 and 6 to 8 p.m. The Reverend Chuck Adkins of the church will conduct a funeral service 10:00 a.m. Saturday at the funeral home. Burial will be at Columbiana County Memorial Park. 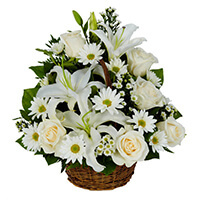 To send flowers to the family of Shirley A. Pease, please visit our Heartfelt Sympathies Store. Our hearts are aching, what a kind, generous and loving person. So blessed to have had her in our family. Mark Pease & Family, We would like to express our sincere condolences to you and your family. Dear, sweet, Shirley ... the mother of my best high school friend, Diann. This wonderful family helped me more than I can express after my father passed away while I was in junior high school. I have so many fun memories spent at their home. Shirley making us graham crackers with icing for an after-school snack, their letting me spend the night whenever I wanted, and many fun days spent in their back yard around their pool, swimming & frying in baby oil. Many Friday evenings going to Burger Chef & the football games with the Pease family. Thank you, for being such a HUGE part of my happy childhood. You made the tough times bearable, and the good times so much more fun. You will all be in my thoughts & prayers every day. "We can't fully appreciate joyful reunions later without tearful separations now." I KNOW that you will all be reunited one day again - it makes perfect sense that God would want our loving familial relationships to continue after death. May you look forward to this day with hope & faith in our Savior. I love you all.